Keiji Inafune, designer Naoya Tomito, and composer Manami Matsumae -- three leading forces behind Mighty No. 9 -- all used to work for Capcom at one point. Now sitting comfortably at the Comcept offices, the three developers took some time out to reminiscence about days past. Fun trivia, interesting stories, and words of wisdom await you in the above video roundtable! "We are working on bringing this and other GBA titles to the North American Virtual Console," a Capcom spokesperson said. "We'll have more information about the lineup in the coming months. For Australia and Europe, we are still in discussions about the release of Virtual Console titles for those markets." 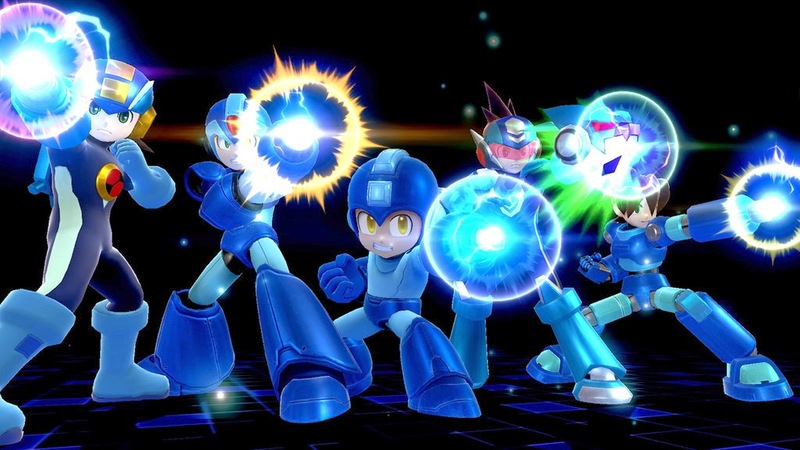 The company's GBA library is bursting with Mega Man games, as you'll recall. I've little doubt we won't see all twelve on Wii U eventually. Naturally, we'll keep an ear out for future updates. 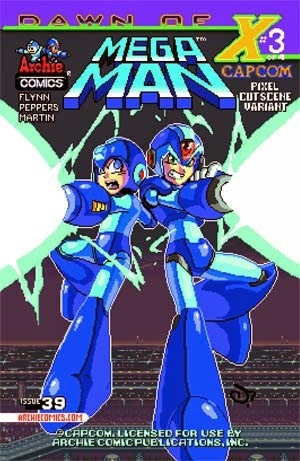 A new day, a new solicitation for Archie's Mega Man comic book series. This time, we're looking at two new covers for issue #39: Dawn of X Part 3. The left is the standard cover by Patrick 'Spaz' Spaziante, while the cover on the right is a very cool 32-bit inspired variant. The epic Dawn of X crossover reaches its penultimate chapter, and things are heating up in both Past and Future! 'A Hint of Things to Come' Part Three: Mega Man, Pharaoh Man and Bright Man-trapped and at the mercy of a long lost Wily Weapon! Can Dr. Light find a way to stop it, or is this the end of Mega Man's story? And what will robot-hating Xander do in a future filled with reploids? Featuring all-new cover art from the legendary Patrick 'Spaz' Spaziante and a 32-Bit-style cut scene variant from mega-artist Ryan Jampole!" Get your pencils, pens or quills ready! To celebrate the launch of the Dawn of X storyline, Archie Comics are teaming up with Capcom Unity for another fan-art contest. Simply whip up your best X-related artwork and you could walk away with some very cool prizes. 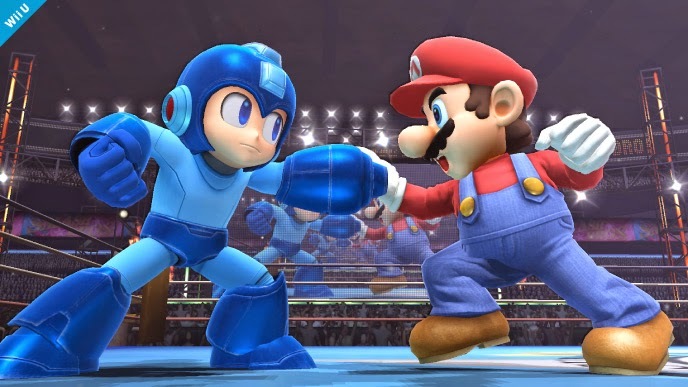 The collaboration between Mega Man and the card game Universal Fighting System has officially launched. 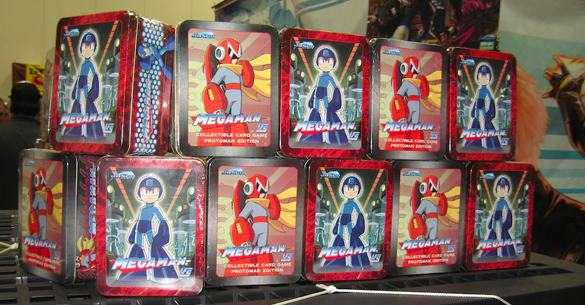 As of this past weekend, both the Mega Man and Proto Man trading card sets are now available throughout North America. You can find them both online and in-store (hobby shops and the like) for a suggested MSRP of $29.99. Some online retailers carrying the sets at this time include Noble Knight Games, FRP Games, Cool Stuff Inc., and various eBay stores. Stock is limited all around so grab yours while you can! "This spunky little guy needs both a color scheme, AND a name! In short, he needs YOU, Mighty Beckers! Now the entry submission portion of this survey can only happen in the Mighty Labs section of the exclusive Mighty No. 9 forum, so head on over there for more details, guidelines, character explanations, template to color and the chance to show us what you got!" As per usual, you must be a backer and a registered member of the Mighty No. 9 forums to participate. Entry deadline is April 26th at midnight PST. Best of luck to all those who enter! On next week's new episode of Game Center CX, everyone's favorite game-testing everyman, Shinya Arino, will face off against Mega Man X. The episode will air April 24th on Fuji TV, according to the show's official website. For the uninitiated, GCCX is a Japanese television show that follows comedian Shinya Arino as he attempts to conquer classic video games. As the Section Chief at fictional company "Game Center CX", Arino is given a full day to beat a challenge presented by his crew. 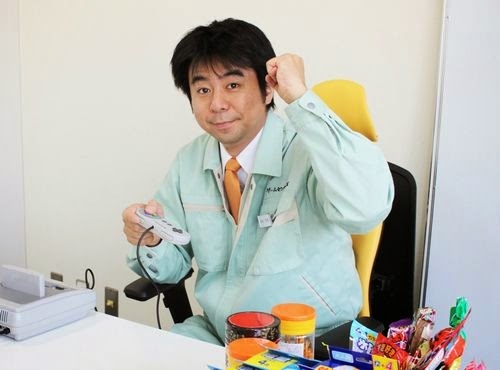 Unfortunately for Arino, he's pretty bad at video games. His quirks, jokes, and banter with his staff as he struggles along makes for excellent entertainment. You really should check it out. Naturally, we'll be on the lookout for the subbed episode from GamingCX. Stay tuned! The Wii U's Virtual Console in Japan is getting another dose of Rockman. Next week on the 23rd, Rockman 5 is joining the Famicom lineup for the typical ¥500 (or ¥100 with a Wii transfer). No word yet on when Mega Man 5 is hitting western Virtual Consoles, but we do know it's coming. Hopefully more news soon! 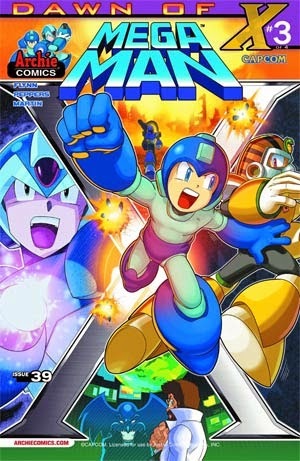 In lieu of anything from Capcom, the Mega Man fan games really seem to be coming out in force... or maybe we just have more time to focus on them these days. Whatever the case, here's a neat project from Drsypher and HeatPhoenix: Mega Man Battle Network 3D. As you might have guessed, they're attempting to recreate the tried and true Battle Network formula in 3D. "Battle chips, navis and program advances are all back in three dimensions in Mega Man Battle Network 3D," reads the above video's description. "Collect chips and build your own folder and take on a variety of battles and challenges!" 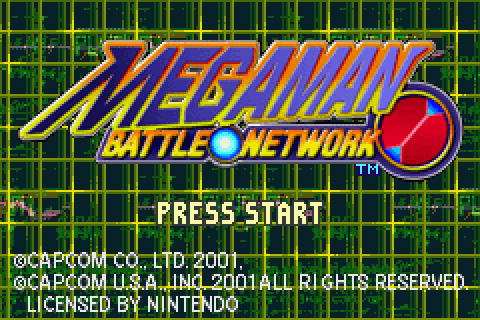 According to "Team MMBN3D", the project aims to combine the very best elements of all the Mega Man Battle Network games into one engine. The game will be available on PC later this summer. If you're interested in learning more, hit up YouTube channel, or following them on Tumblr and Twitter. Thanks for the heads up, Team MMBN3D! The Mega Man-inspired hooded jacket, an outstanding concept from video game clothing designer Enzo Volante, is now a thing. The men's cut has received over 200 pre-orders and is now officially in production, reads a banner at the Capcom Store. As the story goes, Capcom would only produce the jacket if a certain number of people committed to buy it. Specifically, 200 male and 100 female cuts had to be pre-ordered by March 31st. While the men's cut exceeded its goal, it appears the female cut failed to reach 100 pre-orders. It's still up for pre-order, however, so there may yet be a chance to push it into production. In any case, the jacket is due out July 23rd. It may not be suitable summer wear but it's nice to have it for a breezy fall! 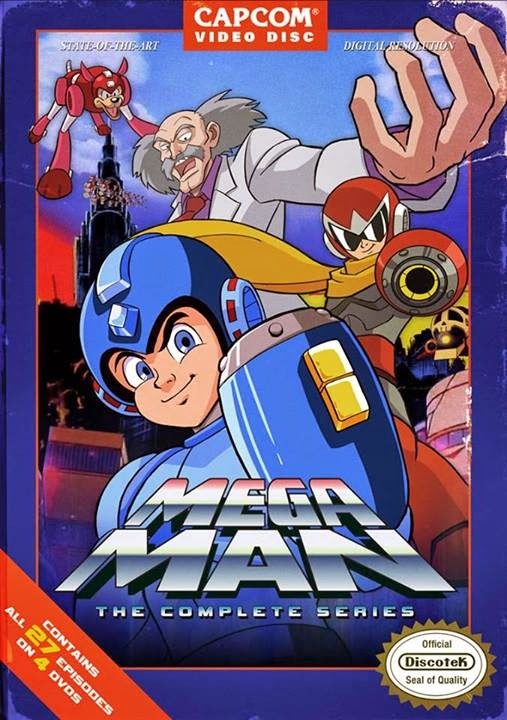 Discotek Media are gearing up to re-release the complete Ruby-Spears Mega Man cartoon series on DVD this fall. Best of all, though, the set's box art is designed to mimic classic NES packaging. It's even got authentic wear and tear! Brilliant! The four disc set is due out on September 30th, 2014. Pricing details are forthcoming. The Super Smash Bros. focused Direct has come and gone, and we got plenty of updates on both Wii U and 3DS versions. 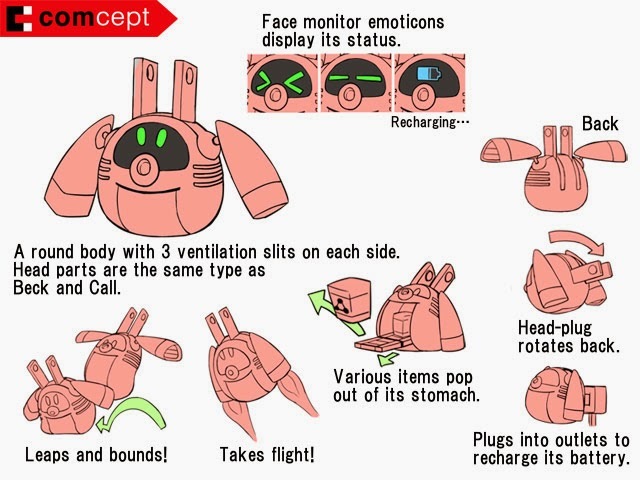 As anticipated, there were a few new Mega Man related details including the full scoop on the his move set and Final Smash (pictured above), the Yellow Devil stage hazard, and more. Hit the jump below for all the details! The first wave of figures is all Mega Man 1 themed (Proto Man being the exception). If it does well enough, we've been told Kidrobot will look into adapting other games in the classic series. Anything beyond that, well, we'll just have to wait and see. New Nintendo Direct to Focus on Super Smash Bros. Taking a break from the typical Nintendo Direct, the house that built Mario are broadcasting a global Super Smash Bros. Direct next Tuesday, April 8 at 6 p.m. EST. New details about the Wii U and 3DS games are expected... perhaps a few Mega Man related surprises, too, if we're fortunate. We're long overdue to see his accompanying assist trophies, additional moves, and 3DS stage. So should anything noteworthy come of it, we'll be providing up to the minute coverage right here on the 'ol corner. For streaming times in your region, visit the official Super Smash bros website here. It's been a little while since we last heard anything from Get Me Off the Moon's Neo Devroom campaign, but they have recently updated with some new stuff to share. For the uninitiated, the purpose of the Neo Devroom is to revitalize the official Devroom and raise awareness for Mega Man Legends 3. They are kicking off 2014 with a new contest focused entirely on Airships -- the main method of transportation in the Legends lore. Your job, should you choose to accept, is to design a new and unique airship. There's prizes to be had, naturally. Hit the jump for the full scoop! Our third and final dump (for the time being) is an English debug prototype of The Misadventures of Tron Bonne. Much like the Legends 2 proto before, this is a work-in-progress build of the US version with plenty of debugging functions to play around with. The burn date is November 5th, 1999, roughly five months before the US version's retail release. Fun debugging features aside, there aren't too many significant differences here. The English voices have already been recorded, most of the text has been translated, and the PockeStation features have already been gutted. Given that this is an early English version, I was really hoping for the latter to be left intact. Of note, there are some graphics leftover from the Japanese version, however. For example, the Tron Ni Kobun logo can still be seen in the game's options menu. There may be more oddities hidden inside the code but I really haven't started digging around just yet. Anyway, it's yours if you want it. Download it here! Many thanks once again to OKeijiDragon for capturing the footage. "No announcements obviously, but GregaMan and I are always looking for ways to bring the back library to modern legacy stores (PSN, Virtual Console etc). We bring up MML1-2 pretty regularly and if there's ever an update on ANY version of them hopping platforms, we'll make it known. For now though, I'm pretty excited about finally getting the GB/C games on 3DS. I'm still pushing on X3 and 7, and the fact GBA games are coming to Wii U suggests our GBA titles may end up there as well. More as it develops!" Here's hoping all these games and then some get some much deserved love. Rights issues aside, I'm still rooting for Mega Man Legends. Battle Network and Zero on Wii U is pretty tantalizing, too. So many possabilities. Let's keep those fingers crossed!